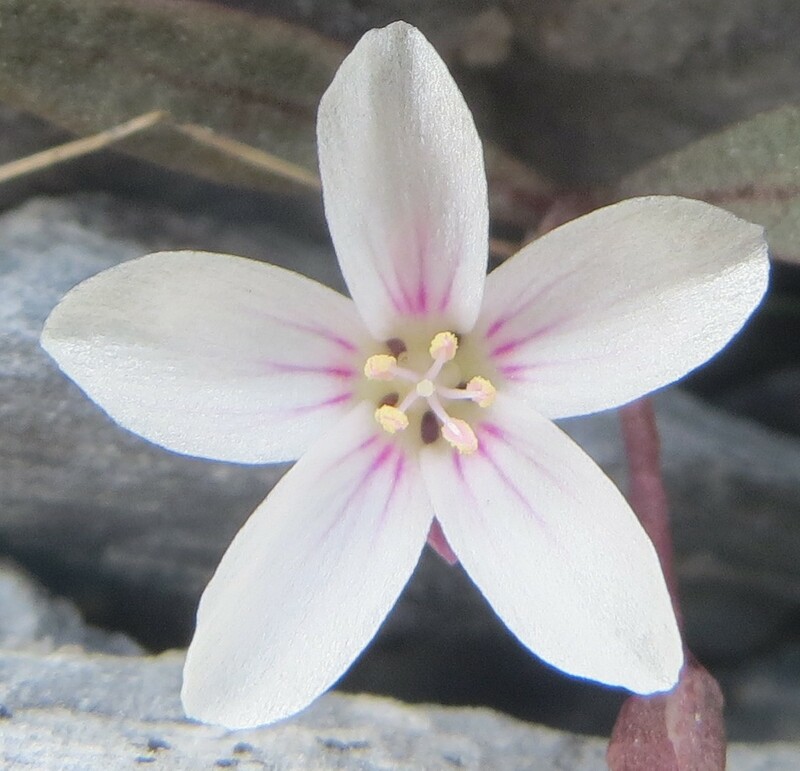 Hey, all — I’m following up on a popular blog post from last year, ‘which is the cutest?‘, where I pit some of the cutest Claytonia I know against each other in a winner-takes-all Battle Royale… C. saxosa came out on top with about twice as many votes as the other contestants. I feel the cards may have been stacked during the last contest, the only logical explanation for how C. saxosa could claim victory in a battle o’ cute by such a large margin of victory, right? I have decided to re-run the analysis, this time with denser sampling and a better explanation of how the voting works: There is a poll at the bottom of this post. You can vote for more than one, but you can only vote once! 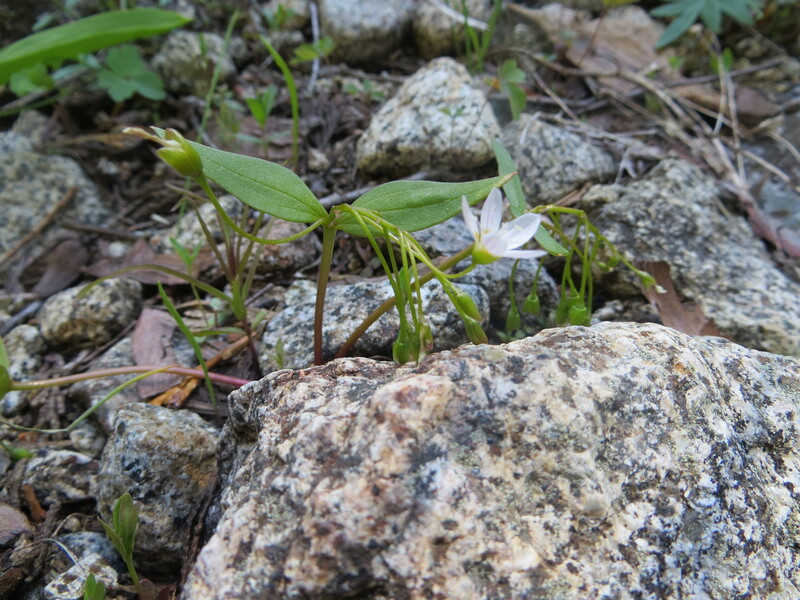 (Above) This is a tough one for me — Claytonia lanceolata var. 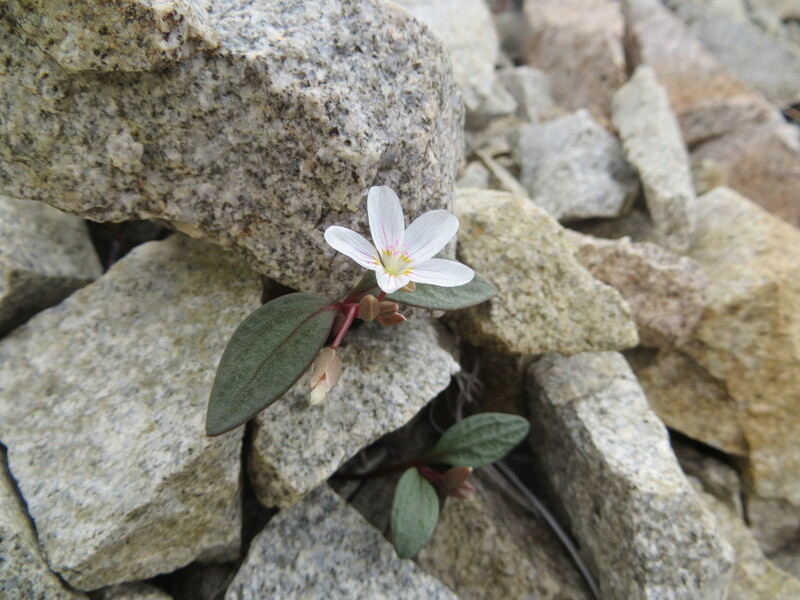 peirsonii from the north slope of Bertha Ridge in the San Bernardino Mountains still holds a place near and dear to my heart. 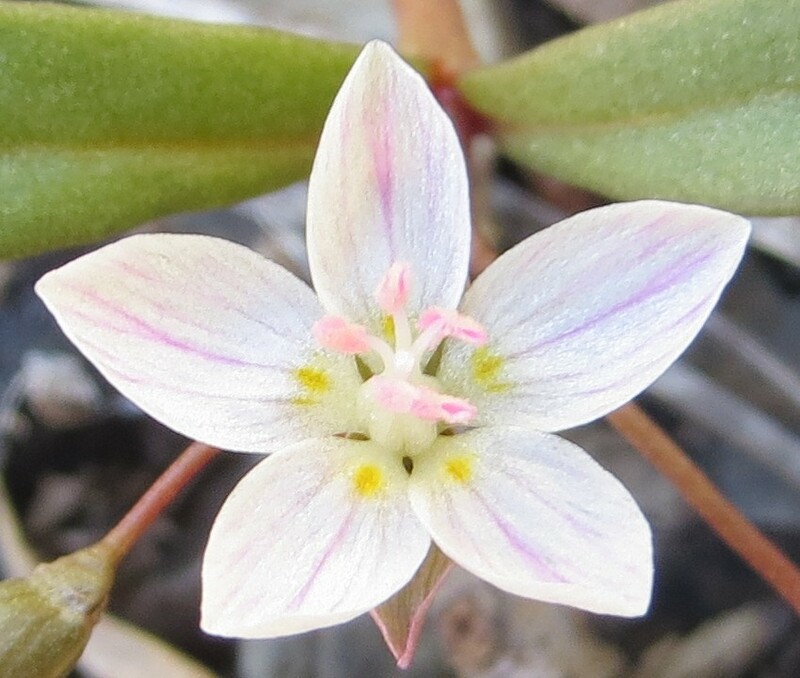 It was my first introduction to the Claytonia lanceolata species complex, and the yellow blotches at the base of its otherwise mostly white flowers are just enough to give some glimmer — pink venation of petals is weak in this population. Southern California might be a little over-represented in this new poll, but please bear with me — they’re cute! 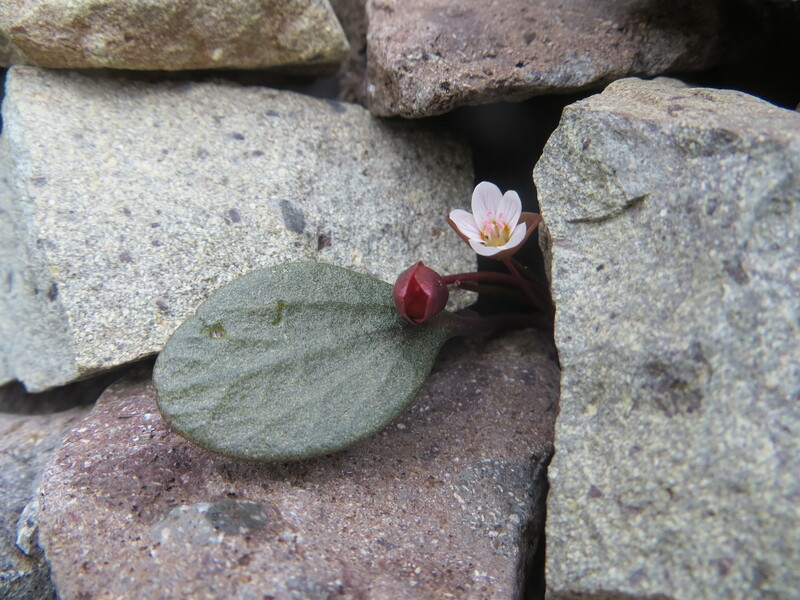 (Above) The REAL owner of the epithet ‘peirsonii’, this is Claytonia lanceolata var. 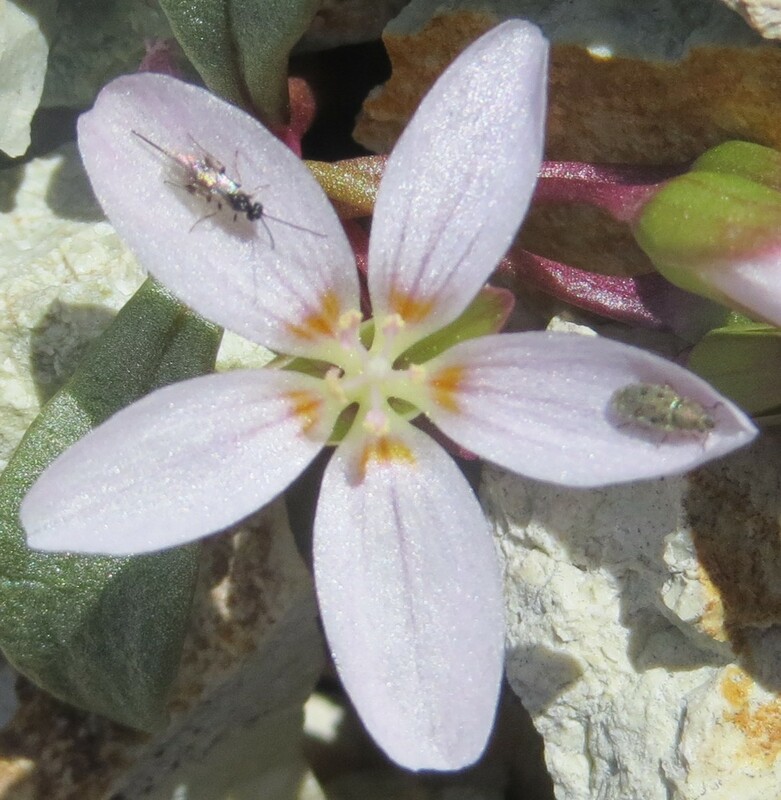 peirsonii from the San Gabriel Mountains (where the variety was first described) — this taxonomic group will see some changes soon (if you didn’t notice already), with a systematic study of the C. “peirsonii” complex representing a serious thrust of my dissertation. 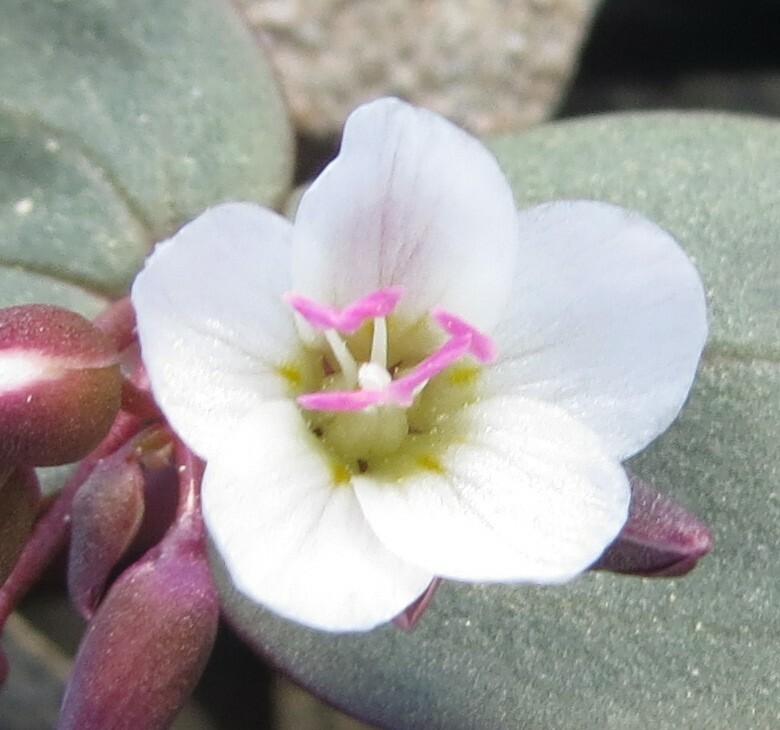 I’m working, I promise, but there is a significant problem in that these plants make REALLY awful herbarium specimens… the beauty is almost entirely lost, let alone the diagnostic characters, so remember to soak it in while out in the field! 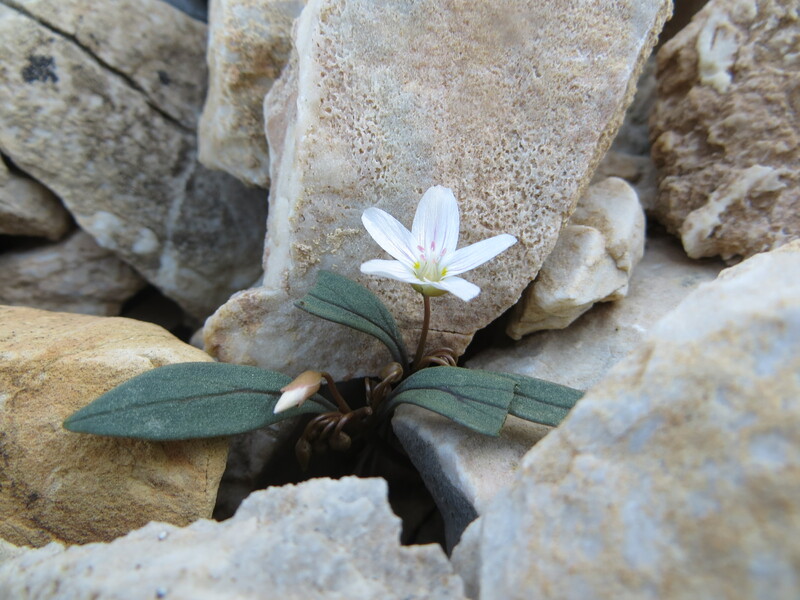 The Claytonia umbellata species complex is yet another difficult taxonomic group that ranks high on the cuteness scale — it has not yet been a contestant in this little experiment of mine! 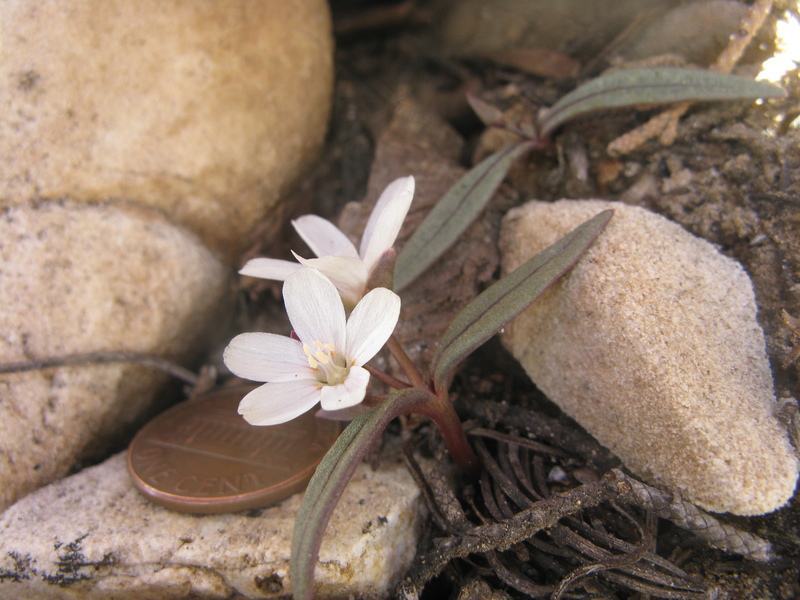 Pictured above is C. umbellata from the Pine Nut Mountains at Minnehaha Canyon, Nevada. 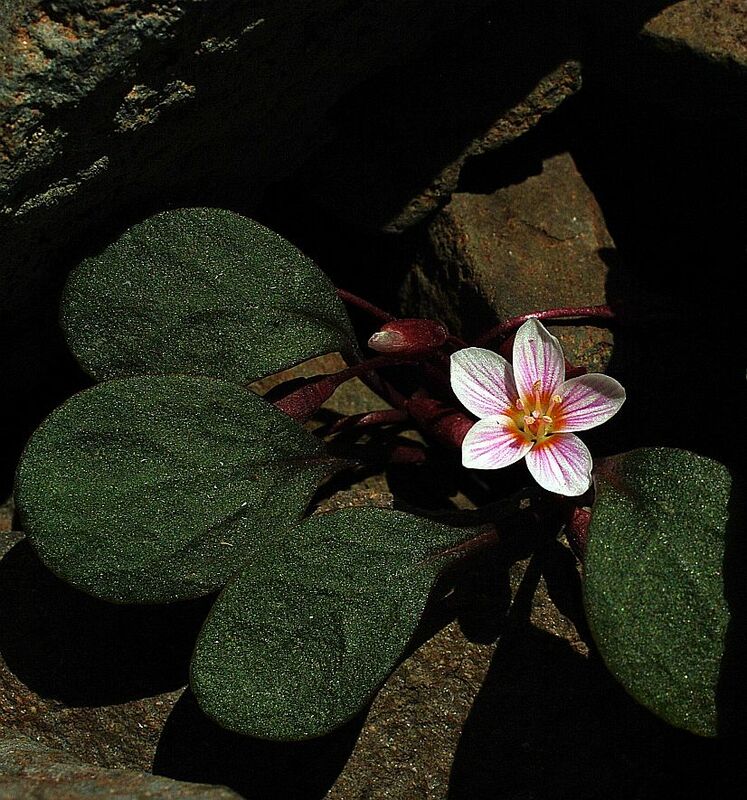 It has pretty awesome flowers and grows in a series of very fascinating habitats from talus to fully stabilized rock cracks and ledges — a HIGHLY variable group indeed! 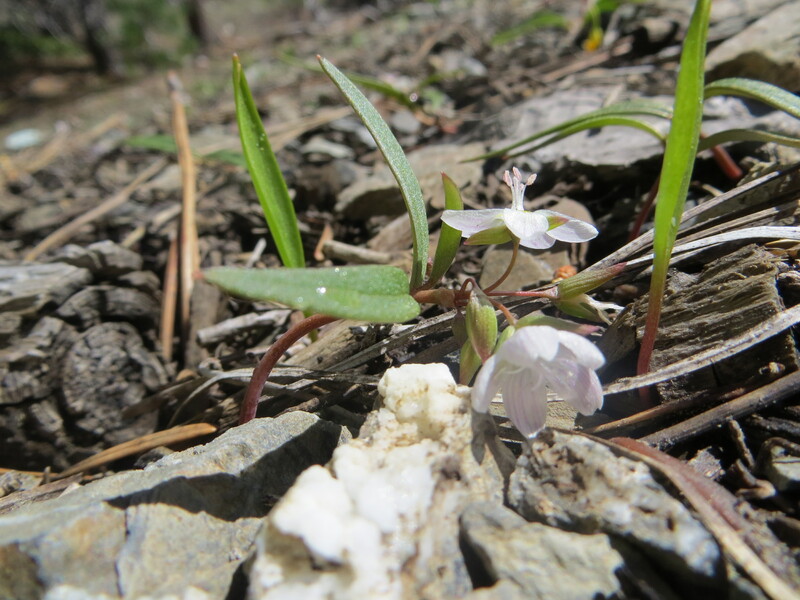 The population of Claytonia umbellata at Peavine Peak (above), Nevada, is another fabulous population worth mentioning — oh, so CUTE! 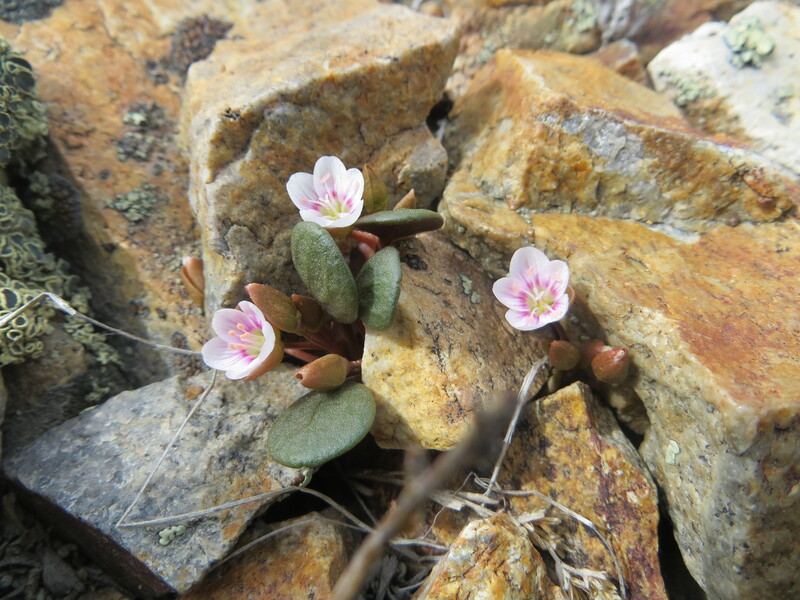 I tried to show these plants to Jeff and Jane Doyle when they came out west, but it didn’t work out when a late storm rolled through the weekend of their trip… they saw mostly cold, non-flowering Claytonia, but suggested that they had a good time anyhow. 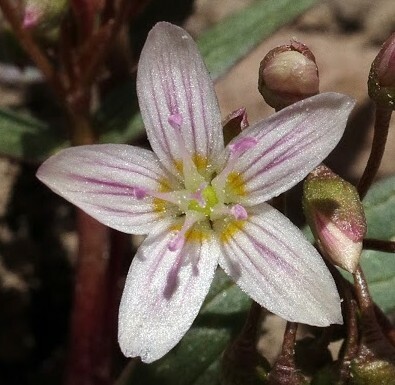 (Above) More Claytonia umbellata species complex from the Pine Nut Mountains at Bismark Peak, Nevada — thanks to Larry Crawford for the two photos above from this location. 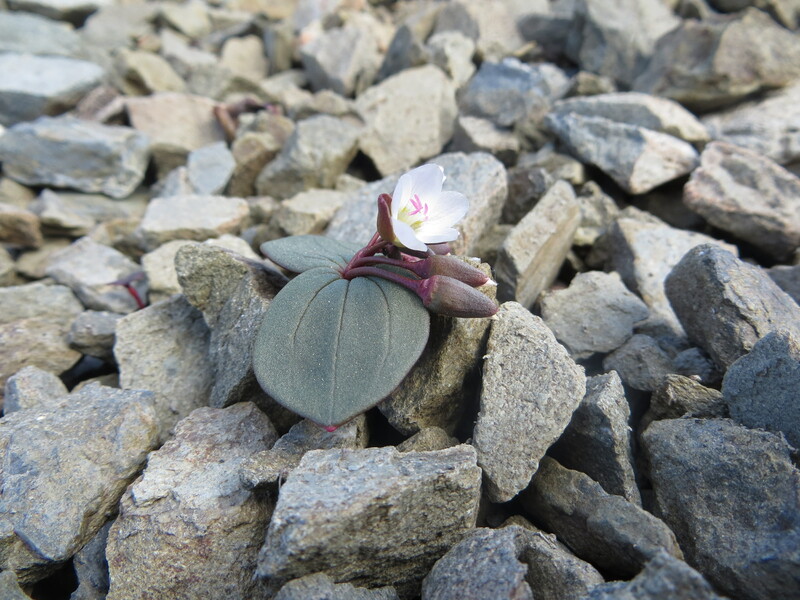 These plants knocked my socks off when I saw them for the first time — they grow in a very bizarre habitat of frost heaved ‘shingles’ of a sedimentary rock unlike anything I’ve seen for members of the complex. 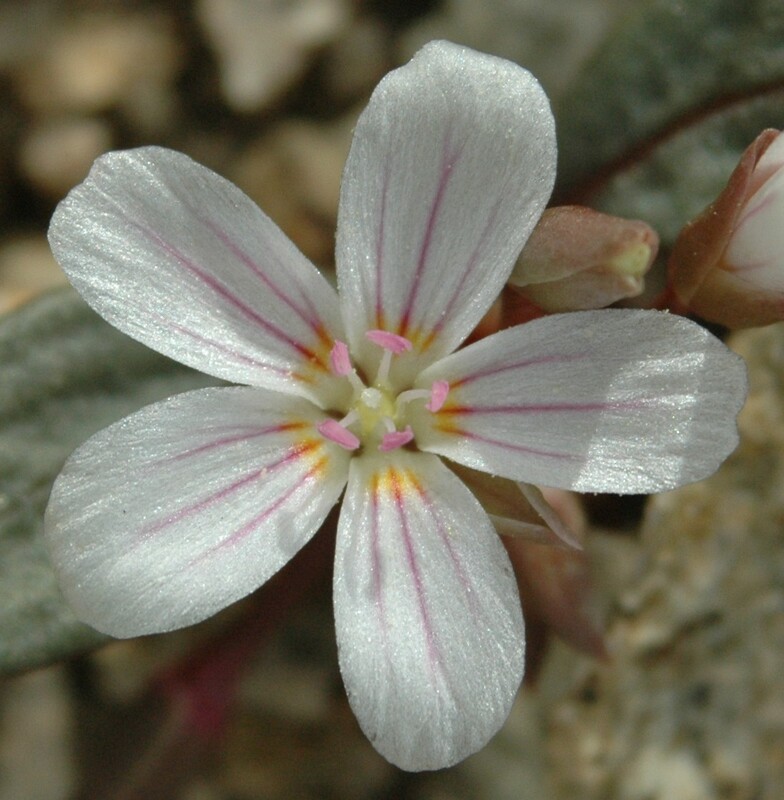 I’m still trying to work out the relationships (part of my dissertation research), but I suspect that C. umbellata is rather closely related to the C. “peirsonii” group. 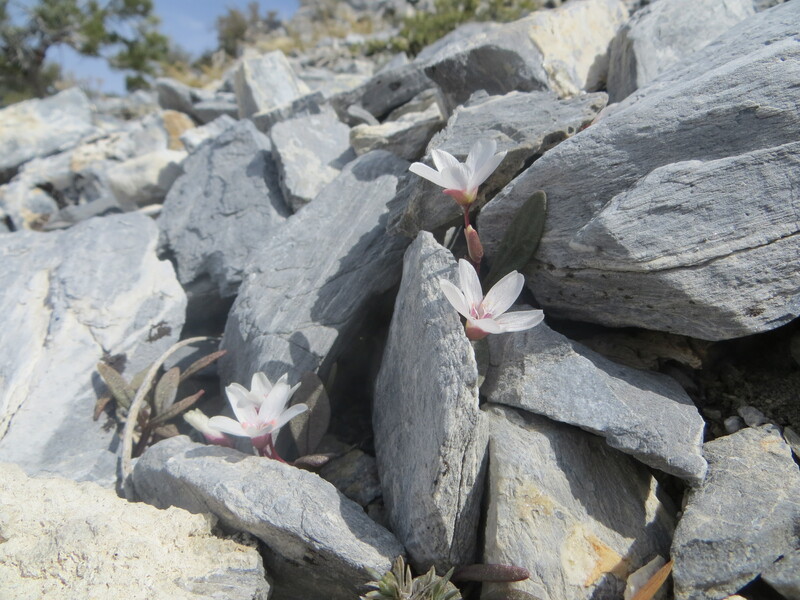 Speaking of close relatives, I’m hoping to figure out this year just where Claytonia sessilifolia in the central Sierra Nevada (above) fits into the picture — it has remained unsampled in previous molecular studies but I’ll be visiting this population later this week and incorporating it into my dataset. 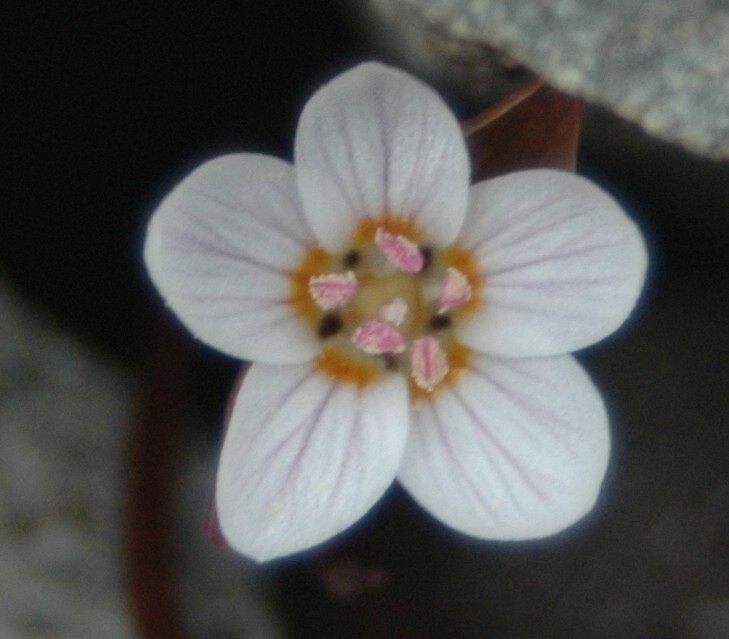 Currently, this taxon is not recognized as anything different from C. lanceolata, but I suspect this may be a stretch. Time (and molecular tests!) will tell, but morphology suggests something unique here, and it already has a name in the literature… Thanks to Larry Crawford again for contributing more photos to the most recent edition of the annual Spring Beauty Pageant. 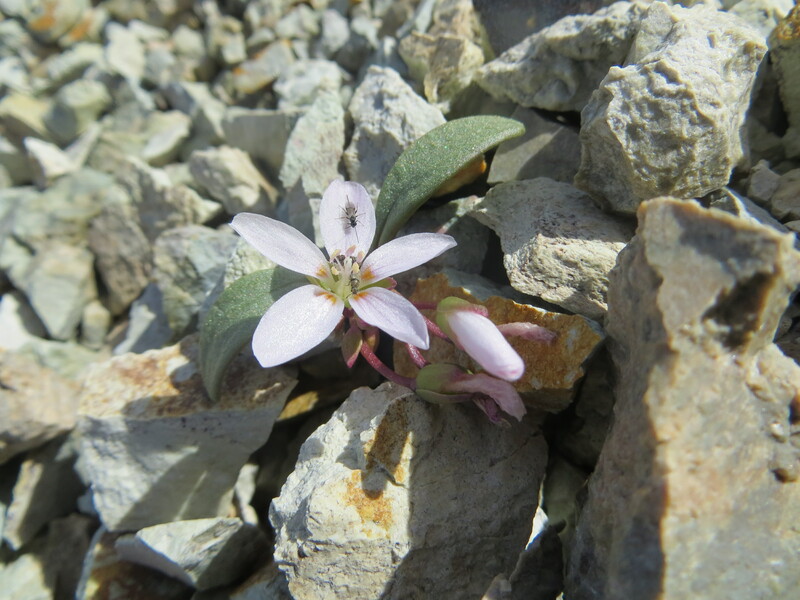 Continuing with more northerly taxa in the state of California, Claytonia obovata from the northern California and Oregon Mountains (above) is another heavy hitter in cutest Claytonia contests past — this is blooming in northern California RIGHT NOW! 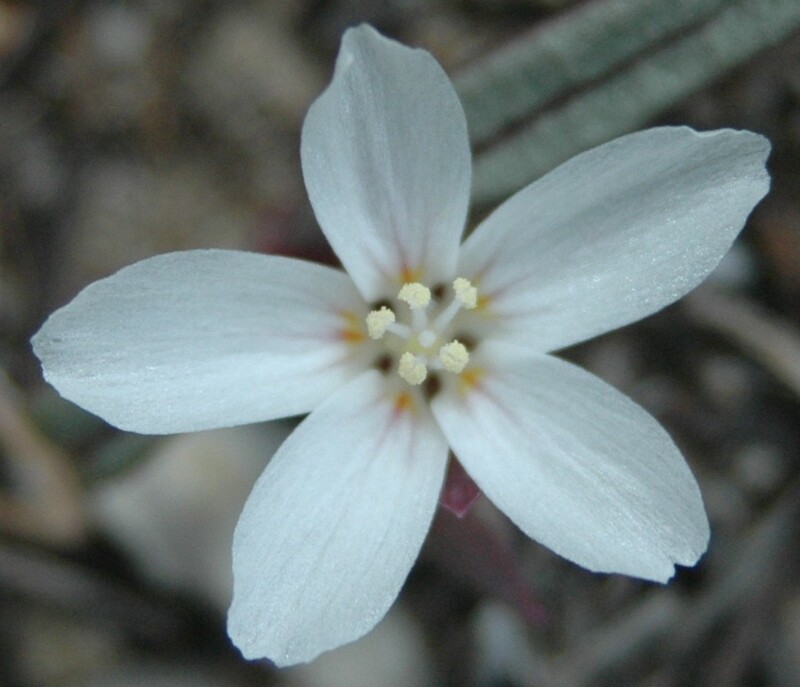 Although this taxon is currently subsumed under a very broad circumscription of C. lanceolata, it is highly divergent both genetically and morphologically. I’m writing up a manuscript right now about this taxon, arguing why it should be recognized and included in the keys in the Jepson Manual. 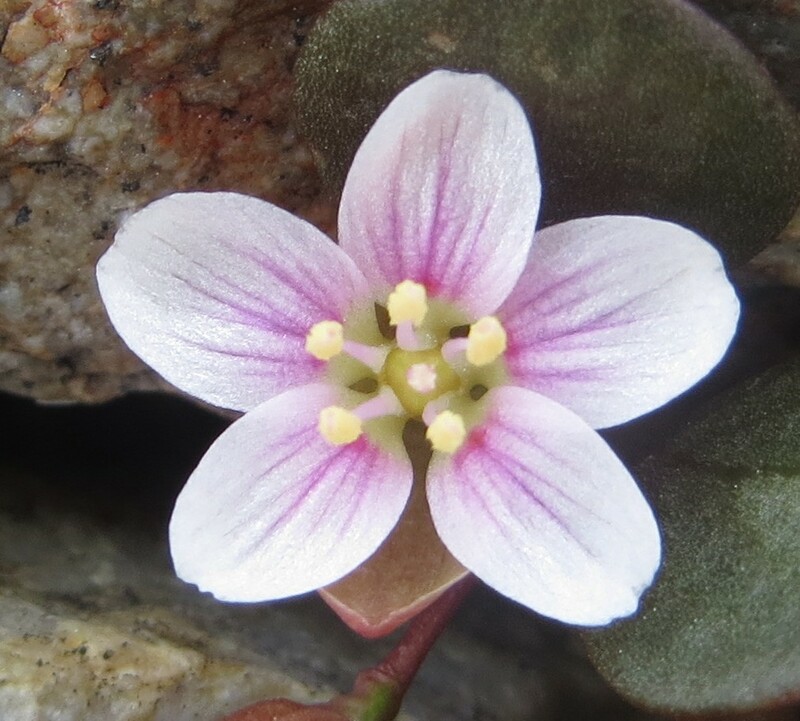 It will DEFINITELY be in my treatment of Claytonia for the Flora of Oregon Project, which I am collaborating on with Dr. Robin O’Quinn at Eastern Washington University. 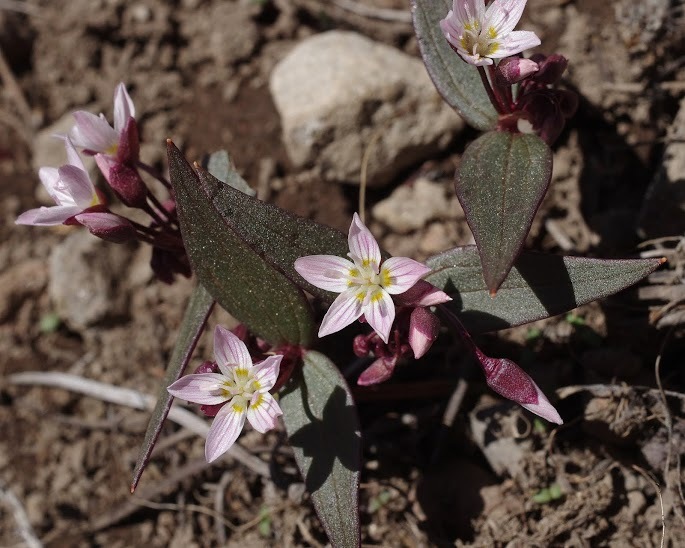 Of course, in northern California there is also Claytonia “serpenticola” (above), an endemic to ultramafic substrates in the Klamath Region (including Oregon). 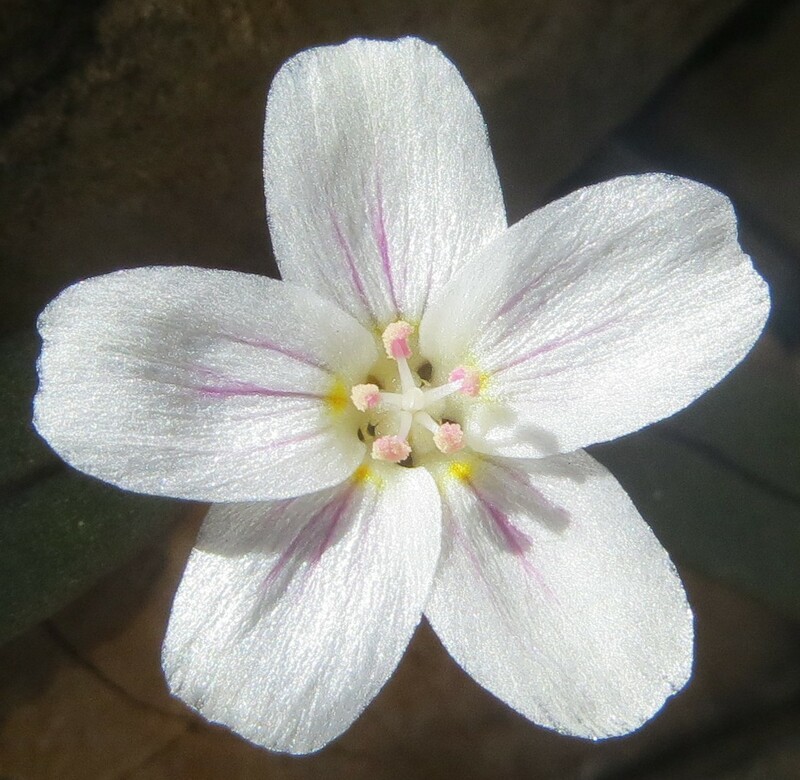 It has alternate leaves, a different petal shape, and different leaf venation compared with closely sympatric C. lanceolata and C. obovata, so it shouldn’t be confused with either! 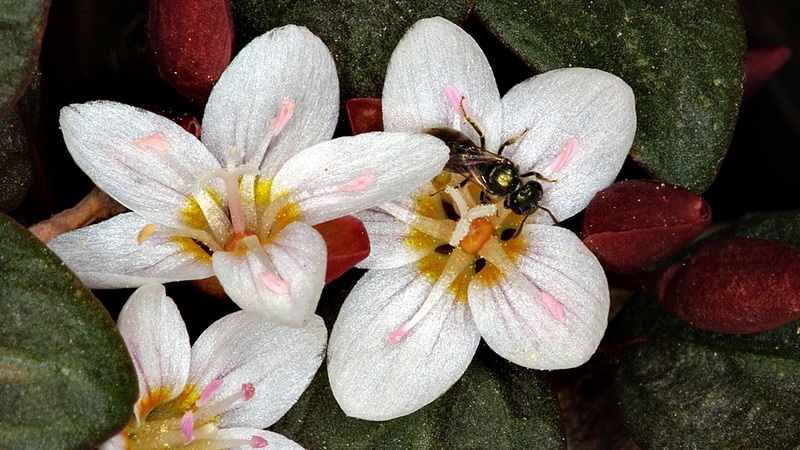 Yet another taxon that will creep into my Flora of Oregon Treatment… just have to get it into the literature first! 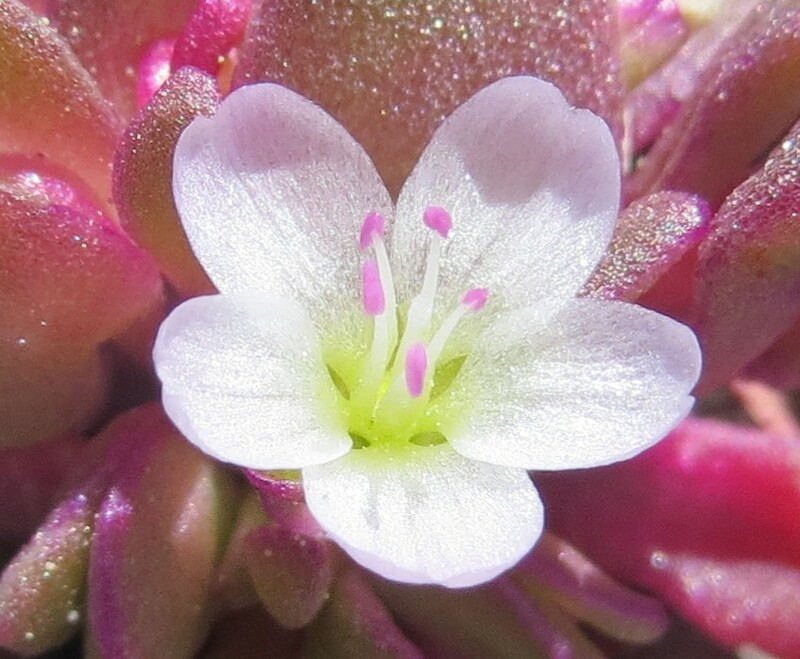 Boy, that one is yet another CUTIE — helps that it grows in particularly beautiful areas, too! 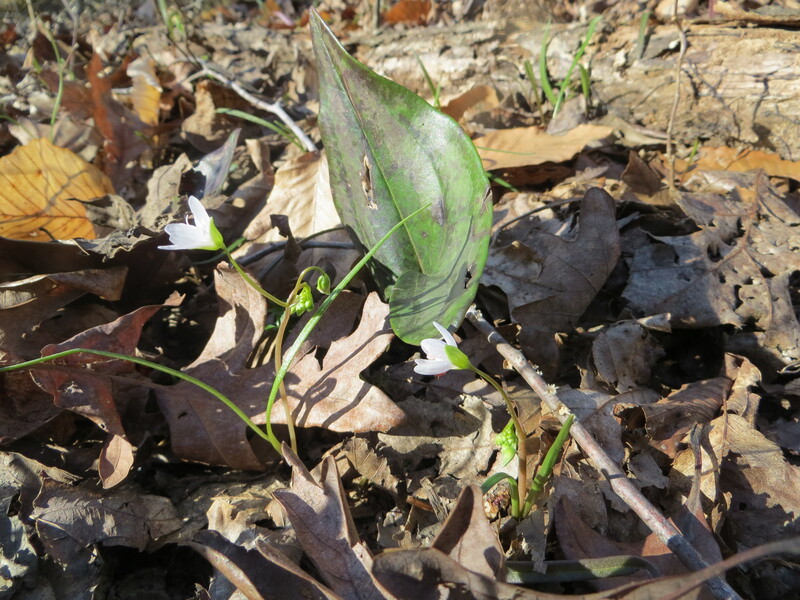 And who could forget the eastern United States and Canadian Claytonia virginica complex (above), photographed here in North Carolina — this is a CHALLENGING group that has perplexed many a botanist before me… I’m treading lightly — but its pretty stunning, and amongst the first to flower in this region, so it is worth a shout out! 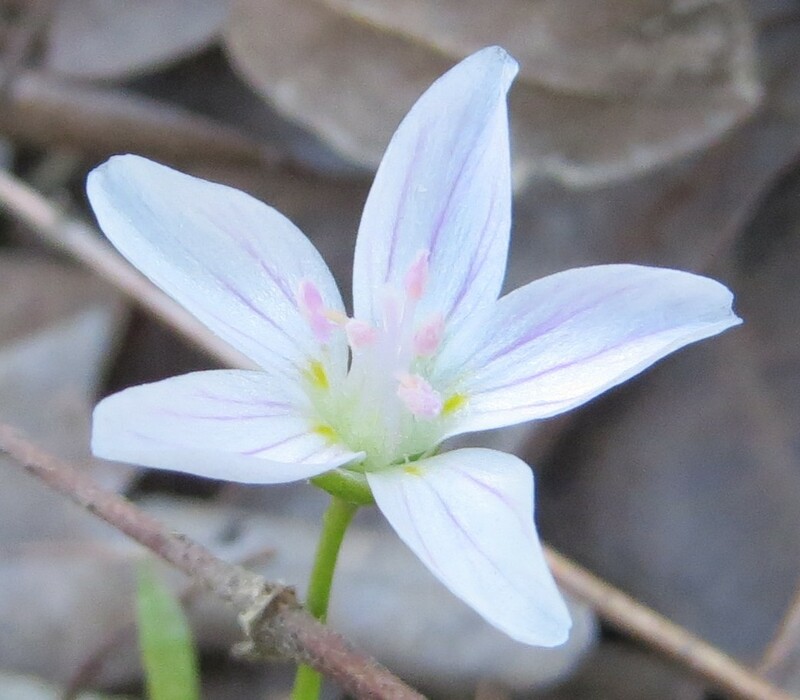 As I can recall (its been a while since I dug into this) Claytonia virginica exhibits the longest aneuploid series on record for ANY living organism, 2n = 12 to ca. 190 — wow, that is A LOT of chromosomes! 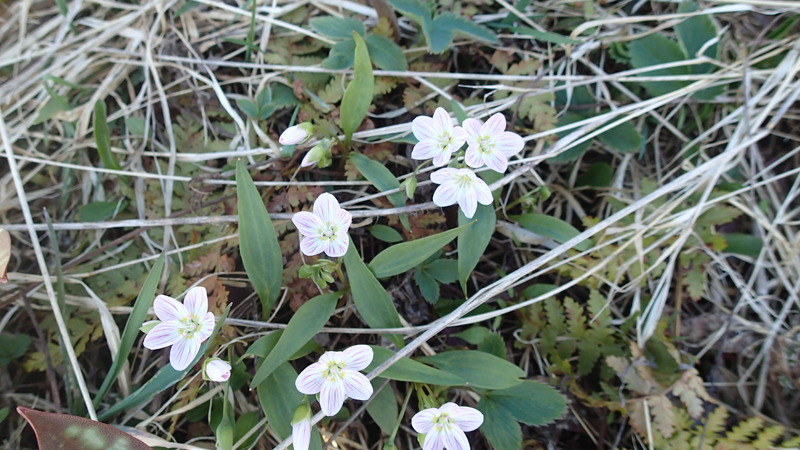 Another representative of the eastern United States and Canada, Claytonia caroliniana complex (above) is yet another contestant on this torturous ‘cutest’ contest — these plants were photographed by Mary Jolles in New Hampshire. Thanks, Mary! 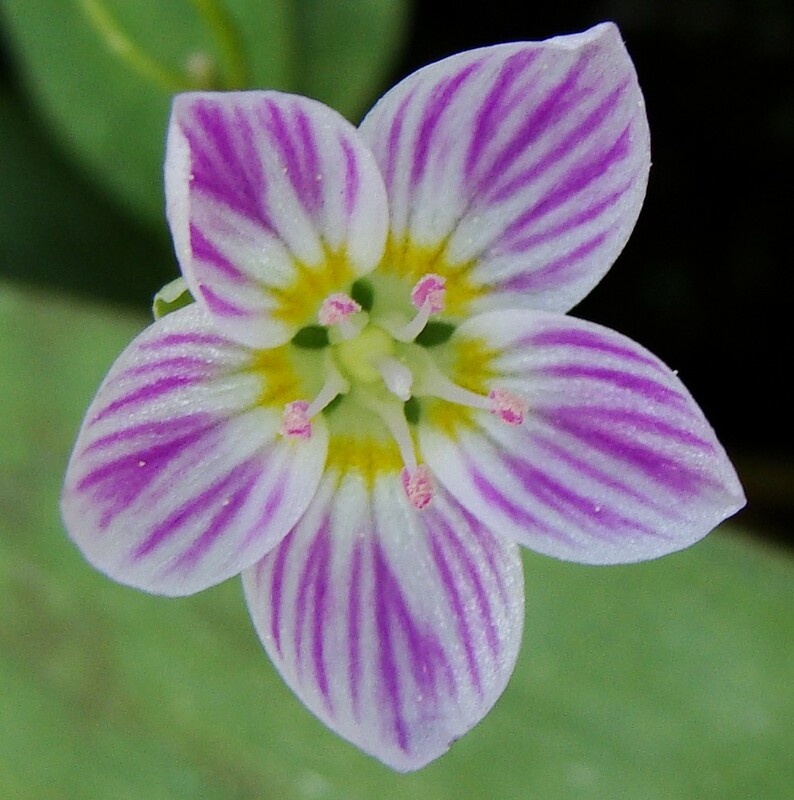 This group is a bit less troublesome than C. virginica, but it is still a HIGHLY variable group of species with chromosomal ‘problems’ reported similar to those of C. virginica — the two species even hybridize in close contact… Showy, nonetheless. 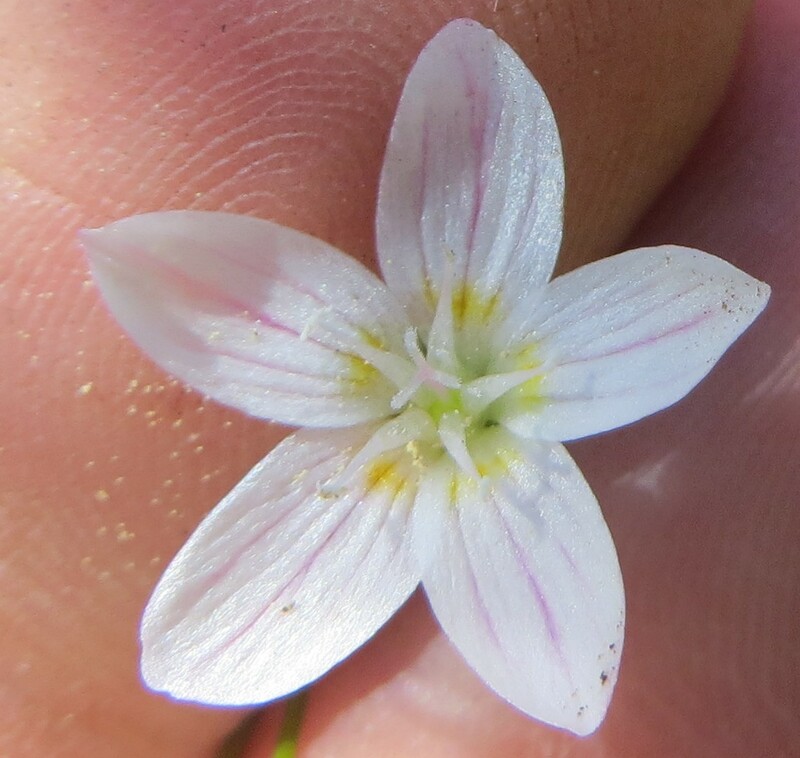 Rounding it out, Claytonia lanceolata from northern California (above) — enough said! Well, I think I’m running out of pictures, and memory on my website here, so I should probably post already… Don’t forget to vote! There is a poll at the bottom of this post. You can vote for more than one (up to 5), but you can only vote once!